Social Responsibility | SSC, L.P.
About Standard Sales Company, L.P.
Standard Sales Company is committed to working with retailers, local and state law enforcement and community organizations to ensure the products distributed are consumed responsibly and by adults. Anheuser-Busch and its family of wholesalers have been leaders in providing community-based programs and advertising campaigns aimed at encouraging responsible drinking and preventing drunk driving and underage drinking. Since 1982, when the first responsibility campaign, Know When to say When, was launched, Anheuser-Busch and its wholesalers, including Standard Sales Company have committed more than $930 million to responsibility efforts. Family Talk About Drinking is an underage drinking prevention program created by Anheuser-Busch in collaboration with certified parent coach MJ Corcoran. 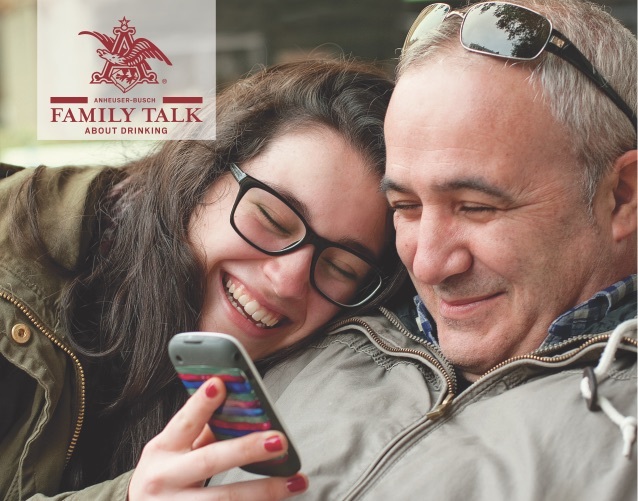 Family Talk was first launched more than 20 years ago and has been renovated into a program parents can turn to throughout the parenting process, no matter the age of their children. Standard Sales Company uses members of Anheuser-Busch’s Community Speakers to deliver messages of responsibility and respect for the law to students, parents, educators, community groups and military personnel. Visits are scheduled annually at the request of school districts and military bases in our market area. It is important to serve and drink alcohol beverages responsibly and Standard Sales provides the Anheuser-Busch Bud Light Party Code, available in English and Spanish. The Bud Light Party Code provides tips to help hosts assure guest consume alcohol beverages responsibly and make it home safely. Drunk driving is 100% preventable and Anheuser-Busch and Standard Sales offers a variety of programs to address the issue. The approach varies within our Standard Sales Company market area but each branch promotes the use of designated drivers at bars, restaurants and home gatherings. Global Beer Responsible Day is a national awareness campaign observed the third Friday of every September. Anheuser-Busch and its team of wholesalers use the day to collectively drive home the message of responsible drinking and designated drivers to retailers, consumers and communities. Drink a Beer. Stock a Stream.